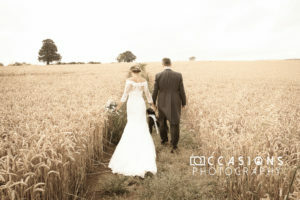 If you are looking for a wedding photographer in Banbury then look no further. Occasions Photography has been photographing weddings in Banbury for over 20 years and has a wealth of experience in just about every wedding location that the town has to offer. Every wedding is special, but the one thing our photographers love about a wedding in Banbury is that it is home to some of the most beautiful churches and gorgeous countryside, which makes for some stunning and spectacular wedding photography. We have scoured the area for some of the best wedding venues in Banbury over the years and have photographed weddings at golf clubs, barns, country manors and quaint churches to name a few. It can seem at first glance that Banbury doesn’t have an abundance of wedding venues to choose from, but as any experienced wedding photographer will tell you – this could not be more wrong! Whatever time of year you are tying the knot and however big your budget or your guest list is, then we are the wedding photographer for you for your Banbury wedding. Whether it’s a country affair on the outskirts of Banbury at Sulgrave Manor or The Great Barn at Aynho, or a church ceremony in one of Banbury’s finest churches such as St. Mary’s or St. John’s your wedding photographer will have undoubtedly photographed there before and will be able to provide hints and tips on getting the best photographs of your big day. If you are having a church wedding, there are also some fantastic hotels where you can enjoy your wedding reception in Banbury. The Cromwell Lodge and The Whately Hall are some of the most popular wedding venues in the town centre. The Whately is licensed for civil ceremonies and so you can also have your ceremony take place at the hotel if you wish. Both venues also have the added bonus of being a stone’s throw away from the biggest church in town with St Mary’s church being just a few meters away. 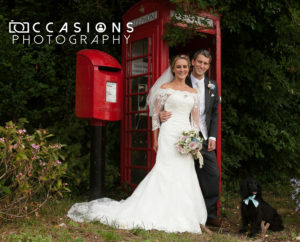 There are many wedding photographers in Banbury, so why should you choose Occasions Photography? With over 20 years of experience photographing weddings and more in the area, we come highly recommended and with over two decades of invaluable knowledge about all shapes and sizes of wedding venues and wedding parties. If you choose us as your wedding photographer in Banbury then we assure you that you won’t be anything less than completely overjoyed with your wedding photographs. Please feel free to give us a call for a chat on 07771 926441 (Gary) or 07921 136665 (Dawn). We look forward to hearing from you.